Since 2010, Christian Jankowski has been reproducing selected drawings and written remarks found in the guest books of renowned art institutions. 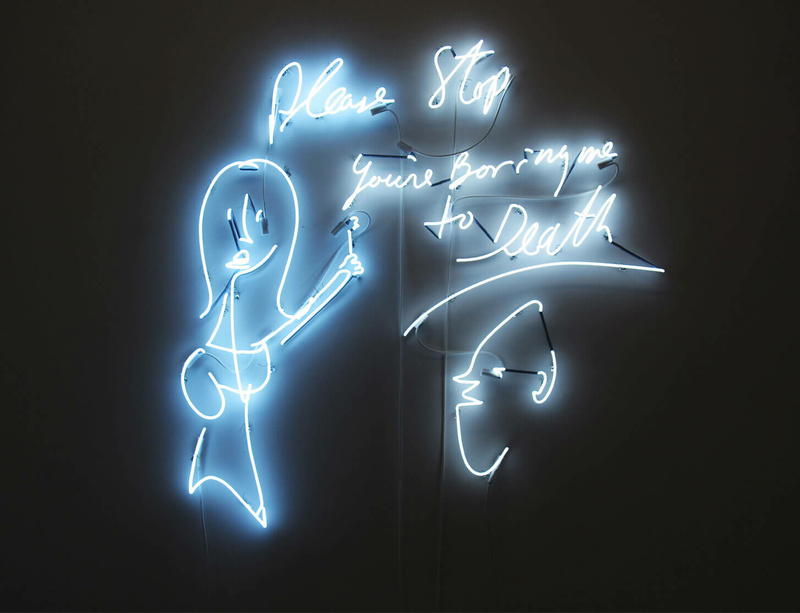 Visitors is an ongoing series of works in which he takes positive as well as negative comments on exhibitions and institutions as the basis for neon sculptures. A selection of these works by Christian Jankowski are now installed at C|O Berlin Foundation, and will be on view through March 2020. “Please stop, you’re boring me to death!”, “Congratulations”, “Made with love”, “Love it. €”, “Outstanding”, “Keep it up”, “Merci”—messages of every kind, names scribbled in ballpoint pen, poetically original notes, confessions, long, rambling letters, praise and critique all provide insights into the feelings and thoughts of visitors. For more information and to plan your visit click here.